Bring your dog to Pleasant Cottage. These are the reviews for Pleasant Cottage. There are 32 reviews. Pleasant cottage was clean and well presented. 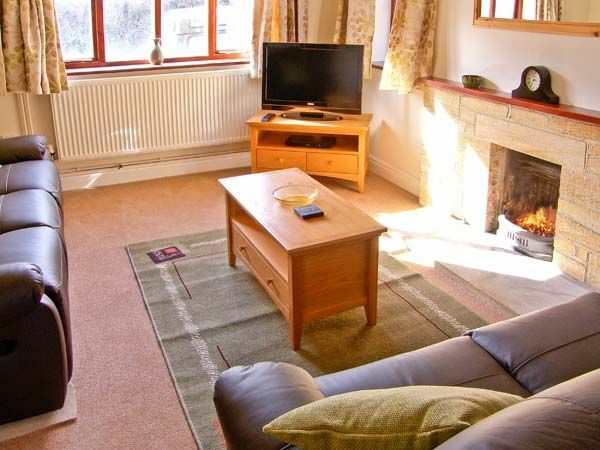 It is in a quiet village that is well positioned to explore further afield. Owner is lovely. Thank you for the welcoming cake and flowers. The cottage suited us very well. We were visiting relatives in south Somerset so the cottage was in a good location for that but in addition was not too far from the coast. The cottage was spotlessly clean and comfortable and was spacious enough for 4 members of our family spread over 3 generations. It was very warm and cosy and the log fire was a welcome addition. Very comfortable accommodation in a quiet location. The welcome pack was much appreciated, the sponge was great. Add a lovely county to visit and good weather throughout - what more could we wish for. The cottage is comfortable, clean and well equipped. 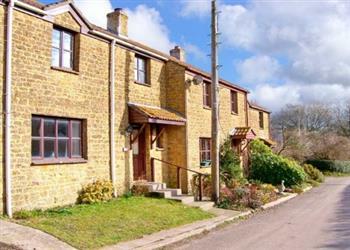 It is located in a pretty village set in unspoilt countryside and near a number of interesting attractions. An ideal base for exploring West Dorset! The cottage is well appointed, comfortable and warm. The kitchen was well appointed particularly with regard to the fridge freezer and oven. The location was great as a good launch point for Dorset and some good local dog walks around the village. Pleasant Cottage is a lovely cottage which was warm and comforting for our short winter break. The location is a great place to explore Dorset, Somerset and even Wiltshire. I would certainly recommend this cottage to family and friends. The cottage was warm, clean and welcoming. It had everything you needed and it was very comfortable. I will be visiting this cosy cottage again, thank you. Excellent location and a very comfortable cottage with good amenities. The scenery was breathtaking. Having dogs we met quite a few of the people living in the village. They were very friendly and gave us helpful information of places to visit that took dogs. The whole experience of hiring a cottage was very good and it is something I would do again. The cottage was warm, spacious and cosy. It was clean and comfortable. I would definitely recommend Pleasant Cottage. It is very comfortable and well maintained. Despite visiting in October ovember it was cosy and warm. The local area is beautiful and it is a great base from which to explore Dorset. The cottage is well laid out and it is great to have free wi-fi. On our arrival we were greeted with fresh flowers, cake, milk and local eggs. There is also a detailed guide with local restaurants and day trips. We booked through Syke's cottages who were very efficient and helpful. They quickly checked any queries for us with the owner. The owner was very accommodating and even let us bring our two house cats with us for the trip! A lovely location. The cottage was very spacious. It was great to have wi-fi included. We were also provided with fresh flowers, cake and eggs on arrival. I would definitely recommend Pleasant Cottage and hope to return soon! I loved the village, even though it had no shop, and it was convenient for the local towns and beaches. The owner was particularly accommodating, I got the dates wrong due to being very tired when booking, arriving a day late, and was able to stay another night to make up. The heating was excellent as we could switch it on or off or turn it up or down as necessary. Very nice area- peaceful, clean and quiet. The cottage was brilliant. Very central location to the coast and countryside and lovely and quiet too. All in all good value for money , big well done to the owners. The weather was very kind to us and the location was not too far from anywhere we wanted to go. Excellent museums and plenty of places to eat available. It was a real home from home. Great location for exploring the area. The cottage had a very homely feel to it. It was extremely comfortable. Lovely cottage in a lovely quiet village. Everything was in good condition and looked very well kept. Wanted to take the bedroom furniture home! Good to have a real fire as the weather was cold. We were in Dorset to find a house to buy for when we move down in July this year so not quite a holiday , but going back to pleasant cottage and lighting a fire was really lovely and very cosy for us. Nice quiet location, very good quality. Remote location. Nice playground within 5 minutes walk. Practical design of house, sensible choice of furniture, pleasant decor, well maintained and clean. We liked the fact that we stayed in a lovely location and this cottage was spacious enough for our needs. The cottage was one of the best cleanest places we've ever stayed in. The position was great and great value for money. We all thought that Pleasant Cottage was an excellent choice. The owner has done a brilliant job and l must say the scones were delicious - what a thoughtful lady! Directions were bang on. Could not fault our stay at all. Well done and thank you. If you're looking for other cottages around Pleasant Cottage, we've got some cottages below which may take your liking. There are 26 cottages within 5 miles of Pleasant Cottage - and they have reviews too.